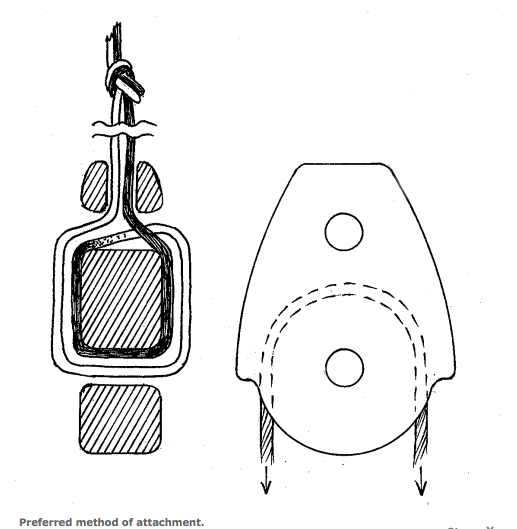 Block, ball raced, micro - 6 mm sheave. 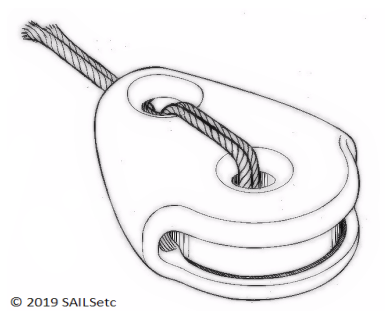 SAILSetc design and manufacture. A beautifully simple design of block for lines up to 0.75 mm diameter. Suitable for use with the main winch loop system on the 65 class and smaller boats. Useful for other applications on miniature craft. Intended to be used with 15 or 30 kg BS Dyneema. 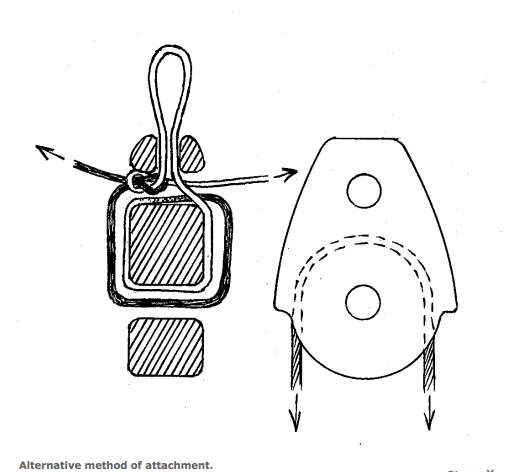 Designed to be used suspended on 30 or 50 kg BS Dyneema line. When suspending the block on a line, it is important that the line passes through both holes in the block in the way shown in the thumbnail sketches above.